Hawk Mk V - end of prod. 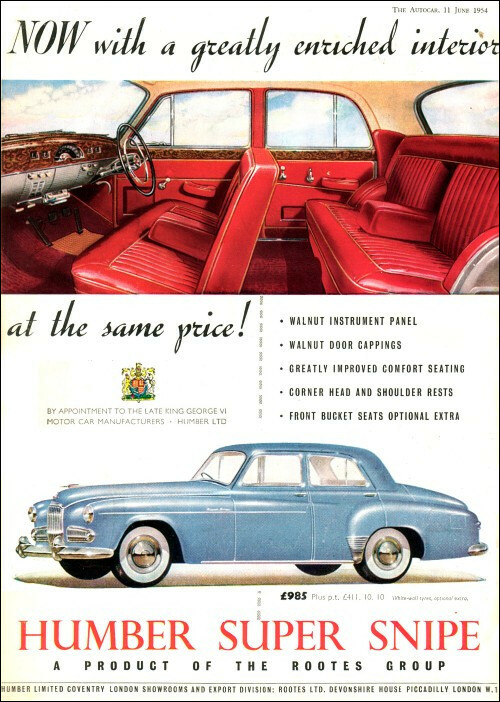 Imperial Mk IV - end of prod. 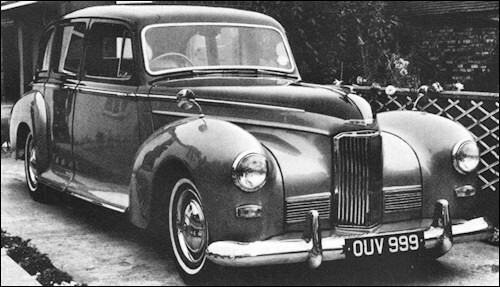 Pullman Mk IV - end of prod. 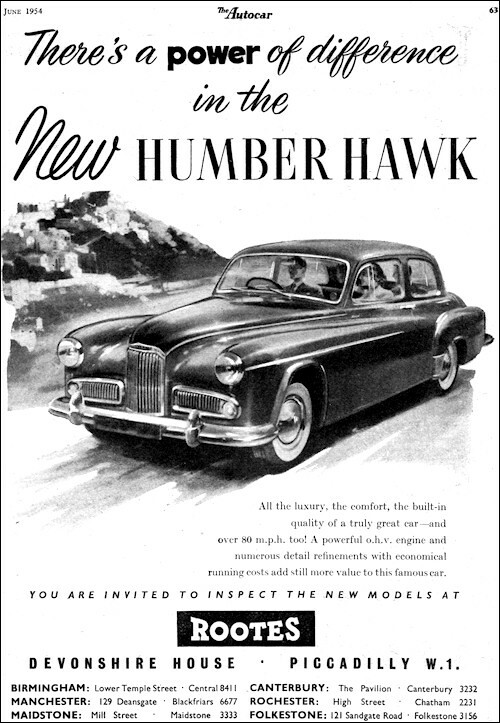 Humber Hawk Mark VI Saloon was introduced in June 1954. 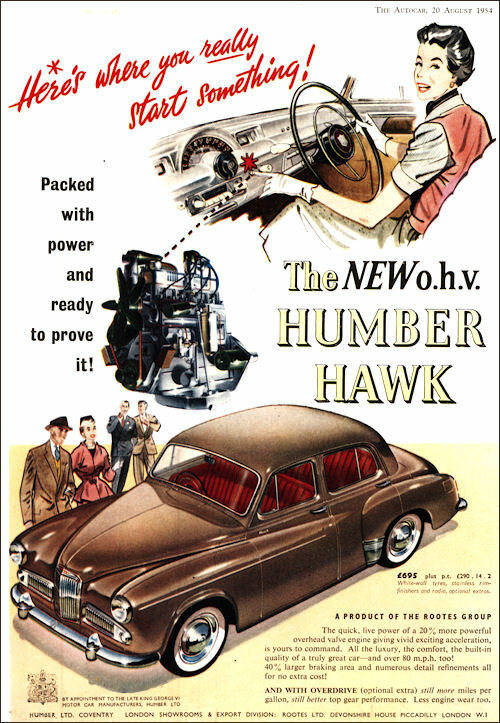 This model have an OHV version of the 2267-cc engine with a 7.0:1 compression ratio, which increase its output to 70 bhp (preceding side-valve version produced 58 bhp). Other modifications include bigger brakes, better interior trim, raised rear wing line, larger rear lamp units and a chrome strip along the front wings. Super Snipe models are continue with only minor changes. All synchro box, and optional walnut veneered dash (Mk IVB).